Odyssey Systems is progressing with its investment plans as it reaffirms its commitment to clean energy. 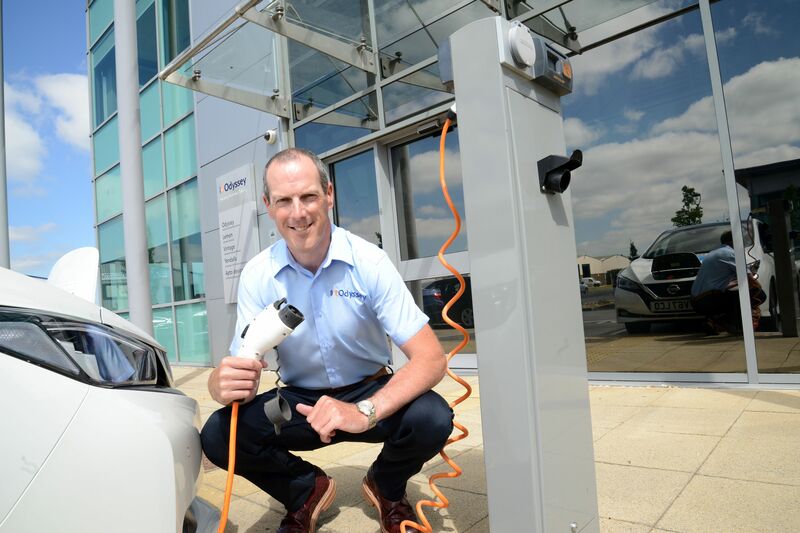 The Stockton-based telecommunications specialist is preparing the next phase of its head office development, which will see a large scale extension of its car park to accommodate electric vehicle charge points in preparation for a further investment in its fleet. Odyssey will also be expanding its fleet of vehicles for its technicians when it purchases new, 2019 Nissan Leaf electrical vehicles, once available, as part of the long-term investment. The company has embarked on its strategy to help future-proof the business and support its clients operating throughout the North East and beyond with effective transport solutions. Odyssey has also installed solar reflective film on the windows of its head office building as an energy saving measure, which reduces the reliance on air-conditioning by its workforce. In 2016, Odyssey invested in its new premises at Preston Farm, with an extensive fit-out and refurbishment, while also creating a further 20,000 sq.ft of space at the site to create fully-fitted offices for business tenants. The business park has several companies operating from it. Mike Odysseas, Managing Director of Odyssey Systems, said: “Once fully-operational, the results of our long-term strategy will further enhance the delivery of services to clients that will improve productivity. It is a significant investment that builds on our move to a new, fully-functional head office, while demonstrating our ongoing commitment to clean energy and minimising our carbon footprint.